The superhero renaissance continues as more and more characters have been plucked from relative obscurity and given the treatment they have long deserved. Even Kara Zor-El – Superman’s cousin and primary protagonist of Supergirl – has not had much exposure to wide audiences prior. 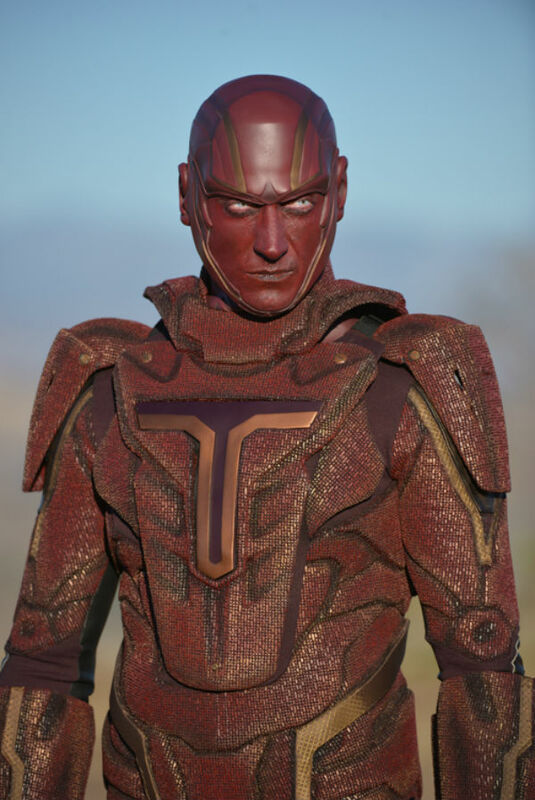 She won’t be alone however, a new photo has just been released of DC superhero Red Tornado as he will appear on Supergirl, but the results leave a little bit to be desired. Check out the picture below. The photo depicts actor Iddo Goldberg doing his best attempt at a stare down as the advanced crimson android. Let’s start with the positive: the character really does look like Red Tornado. From the shade of red, to the gold details, to the T on the front of the suit all look ripped straight from the pages of the comic books. That being said, just because something looks faithful does not necessarily mean it looks good. Red Tornado supposed to be an android but there exists an unshakeable sense that is a man in a suit with a painted face. 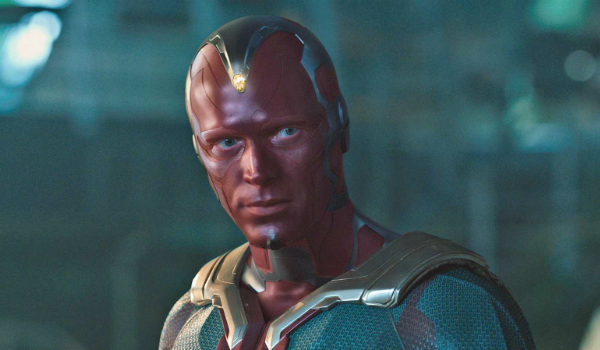 Above all else, there’s one noticeable aspect to the costume: it looks remarkably similar to Marvel’s Vision (Paul Bettany) – to the point where the DC hero looks like a bad Vision cosplay. Comparisons between the two were inevitable – the two share similar origin stories and appearances – but Red Tornado looks decidedly lower in quality. All that being said, we don’t know how the character will look in live action, so CGI could most certainly be used to bring Red Tornado to life in an interesting, unique fashion. Red Tornado himself is a fascinating character in his own right, and noticeably distinct from what DC and Warner Bros. have brought to the table in terms of their live action endeavors. A highly advanced android created by Dr. T.O. Morrow -- also portrayed by Goldberg; he has existed as a member of the Justice League since the 1960’s. In Supergirl he is the result of an attempt to create a superweapon, becoming a threat that Supergirl will inevitably have to take care of. The character has the ability to generate powerful cyclones that allow him to fly and create storms. Barry Allen has performed similar feats on The Flash, but Red Tornado's storm powers are on an entirely different level. Overall, let’s not be quick to write the character off until we see what Supergirl does with him. Plenty of DC characters have received lukewarm responses when they were first revealed, only to have excitement start ramping up once audiences got to see more of what actors did with the characters – see: Jared Leto’s Joker. So for now, all we can say is that Iddo Goldberg had better bring something awesome to the role. Supergirl premieres on CBS on October 26.